Peyton Thermal Top Just $14.99! Down From $50! Shipped! 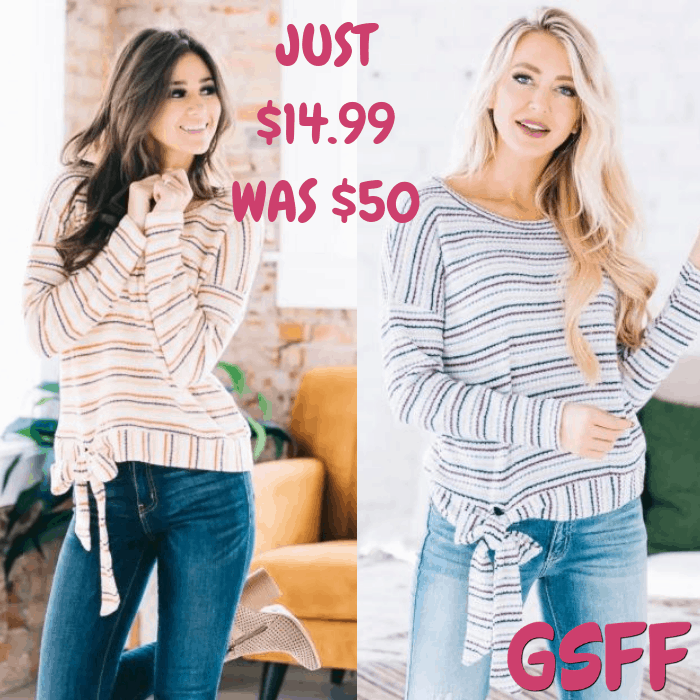 You are here: Home / Great Deals / Peyton Thermal Top Just $14.99! Down From $50! Shipped! Until January 1 only! Head over to Jane to score this Peyton Thermal Top for just $14.99 down from $49.99 PLUS FREE shipping! We are absolutely in love with our new Peyton Thermal Top! Comfortable enough to lounge around in, but classy enough to wear to work, our top does not disappoint ! It features a chic scoop neck, a trendy thermal texture, and tied flutter waist. The semi-loose fit of this beauty is flattering on all body types and is perfectly paired with your favorite pair of skinny jeans or leggings!